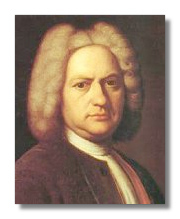 Johann Sebastian Bach's Well Tempered Clavier is one of the monumental musical achievements of Western Civilization. It consists of two books, each book having twenty-four sets of preludes and fugues which go through all the major and minor keys. Book 1 was completed in 1722; Book 2 was finalized twenty years later. However, many of Bach's preludes and fugues in the two sets are more mature revisions of earlier keyboard works he composed, and it is very interesting to listen to these embryonic creations and compare them to the eventually finished products. What did Bach mean by 'well tempered clavier'? Current thinking is that 'well tempered' simply means a well-tuned instrument as opposed to any notion of equal temperament. Concerning the clavier, Bach traditionally made a distinction between the organ and smaller keyboard instruments; therefore, it is likely that the clavier only includes the harpsichord, clavichord, and fortepiano. Another issue which is commonly voiced concerns whether Bach intended the Well Tempered Clavier as only an instructional tool or also for performance purposes. Since Bach's autograph copy of Book 1 has a title which includes, "For the Use and Profit of the Musical Youth Desirous of Learning as well as for the Pastime of those Already Skilled in this study", we can assume that this body of works had a dual purpose. The Well Tempered Clavier has had a strong influence on many subsequent composers of classical music. Mozart composed six Preludes & Fugues for String Trio from pieces of the Well Tempered Clavier, one of Bach's Trio Sonatas for Organ, and one of the fugues from the Art of Fugue. The connection is even stronger and reaches its 20th century fruition with the Shostakovich Opus 87 Preludes & Fugues for piano. Anyone who has great affection for Bach's Well Tempered Clavier would likely also love the Shostakovich Opus 87 works. Another strong connection is with Hindemith's "Ludus Tonalis" which is a cycle of 24 preludes and fugues for piano. How best to listen to the Well Tempered Clavier? The spectrum ranges from listening as a cumulative work based on mathematical construction to simply ninety-six separate pieces of music. The important consideration is that Bach's Well Tempered Clavier encompasses the full breadth and depth of the human condition. Copyright © 2001 by Don Satz.